Cha, J., Chou, S.-Y., Stjepandić, J., Curran, R., Xu, W.
The theory of concurrent engineering is based on the concept that the different phases of a product lifecycle should be conducted concurrently and initiated as early as possible within the product creation process. Concurrent engineering is important in many industries, including automotive, aerospace, shipbuilding, consumer goods and environmental engineering, as well as in the development of new services and service support. 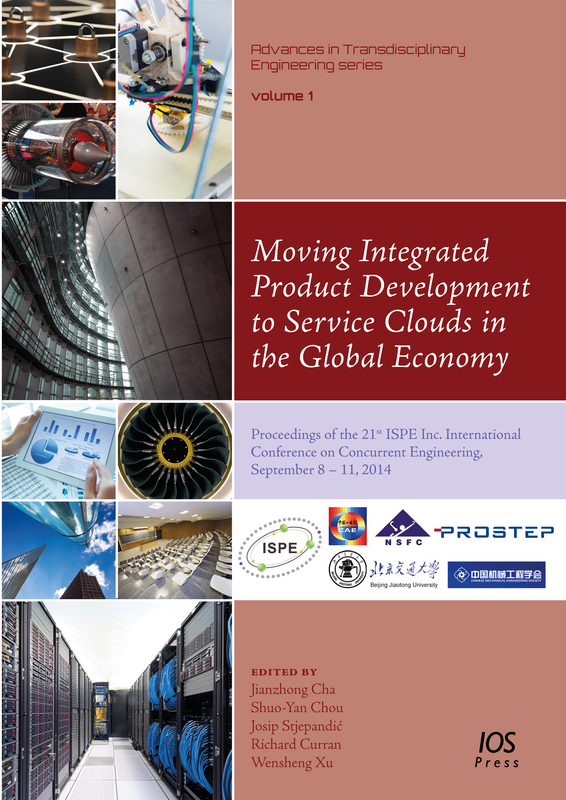 This book presents the proceedings of the 21st ISPE Inc. International Conference on Concurrent Engineering, held at Beijing Jiaotong University, China, in September 2014. It is the first volume of a new book series: 'Advances in Transdisciplinary Engineering'. The title of the CE2014 conference is: 'Moving Integrated Product Development to Service Clouds in the Global Economy', which reflects the variety of processes and methods which influence modern product creation. After an initial first section presenting the keynote papers, the remainder of the book is divided into 11 further sections with peer-reviewed papers: product lifecycle management (PLM); knowledge-based engineering (KBE); cloud approaches; 3-D printing applications; design methods; educational methods and achievements; simulation of complex systems; systems engineering; services as innovation and science; sustainability; and recent research on open innovation in concurrent engineering. The book will be of interest to CE researchers, practitioners from industry and public bodies, and educators alike.